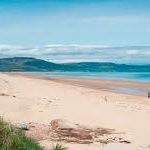 Dornoch is just short of a mile away, either a short car ride or a 15 – 20 minute stroll. 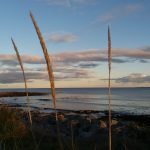 Sitting on the edge of the Dornoch Firth in the county of Sutherland, the historic Royal Burgh of Dornoch boasts a tranquil location, stunning scenery and is full of quaint charm. 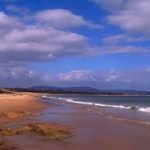 It is a thriving community and is blessed with a particularly sunny climate thanks to its sheltered position, and has miles of beautiful golden sand beaches. 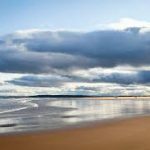 Dornoch, unique with its world-class golf course, glorious beach and charming town, is a perfect holiday destination.The friendly locals are helpful and welcoming and are just one reason why 99% of visitors to Dornoch said they would come back. The remaining 1% said they would “probably” come back. 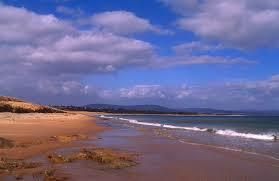 Come and feel the Dornoch effect and you too will be counting the days till your next visit. 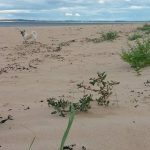 And if you can bring yourself to leave town for a little while, find out just how much you can Do from Dornoch. 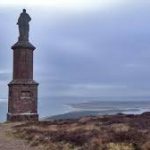 Close at hand you’ll find a rich variety of history, wildlife, culture and stunning scenery which will capture your imagination, inspire you to find out more and keep coming back to our beautiful town – Visit Dornoch. And for those keen golfers, it is home to the Famous Royal Dornoch Championship Golf Course, ranked number 2 in the world. 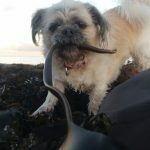 The coast is also a favourite with wildlife such as seals and dolphins and Ospreys. The town is famed for its impressive Cathedral, founded in 1224. It stands proudly in the centre of town and is definitely worth a visit. 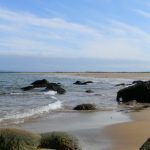 Pitgrudy Holiday Park is a fantastic base to then go on and explore what the North Coast of Scotland has to offer. 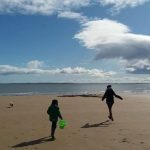 DORNOCH BEACH – 1/2 mile stroll away from the town you will find Dornoch beach, which is a beautiful expanse of golden sand located on the breathtaking Dornoch Firth. 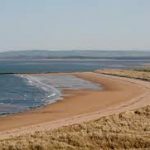 Miles of golden sand stretch from Dornoch to the mound of Loch Fleet Nature Reserve. This fine long blue flag beach has been given a Seaside Award Status as a clean bathing beach. Its a perfect location for a day out with the children or just a stroll to take in the views. A definite must see for anyone coming to the area. 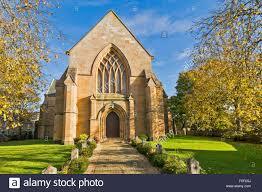 DORNOCH CATHEDRAL – The Cathedral is a 13th century parish church set in the heart of the Royal Burgh of Dornoch, Its stance in the middle of the town is undeniable and its beauty attracts many visitors from all over. Weddings are held here most weekends throughout the summer and its easy to see why, with such a backdrop as the Cathedral. Visitors along with locals line the streets to watch and photograph the wedding party. ROYAL DORNOCH GOLF COURSE – This is a championship course, ranked No. 2 in the world and No. 1 in Scotland. Royal Dornoch Golf Course is spellbinding and many golfers from all over the world make the pilgrimage to this natural links at some point in their lives. It is often quoted as one of the ‘must-play’ courses. Its the timeless setting that makes Royal Dornoch such a pleasing place to play golf. DUNROBIN CASTLE – This beautifully grand castle is the most northerly of Scotland’s great houses. 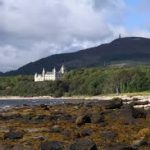 The castle is on the east coast of the Northern Highlands overlooking the Moray Firth, just north of the towns of Dornoch and Golspie. The castle is most known for its remarkable architecture and its beautifully kept gardens which resemble that of a French chateau. Their Falconry displays in the gardens should not be missed, a real crowd pleaser. Ben Bhraggie is a hill in Scotland which rises to an elevation of 397 metres above sea level. 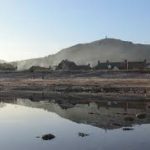 The hill dominates the skyline above the village of Golspie and is visible from many parts of east Sutherland. 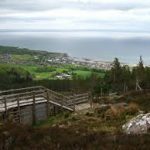 The steep pull up Ben Bhraggie (or Beinn a’Bhragaidh to give it its proper, Gaelic name) is well rewarded by superb views over the coastline and inland hills – on a clear day both coasts of Scotland can be seen. 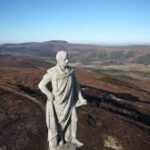 The massive Sutherland monument, locally known as the ‘The Mannie’, marks the top from where this circuit takes a gentler route down on forest tracks initially. The circuit is then extended by returning down the dramatic Big Burn gorge.